Get the scoop on a day of cocktails x cocktail rings and Ammanii Jewelry during the SS16 private viewing Joy Donnell hosted at SLS Hotel Beverly Hills. 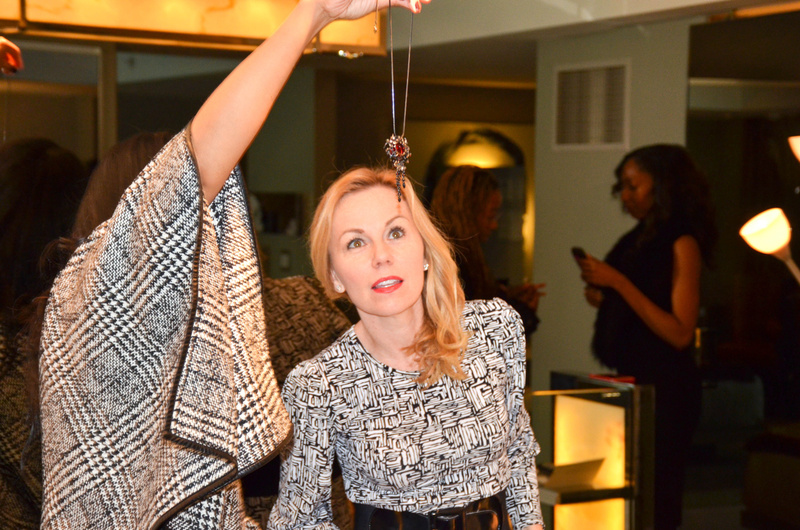 On Tuesday, January 19, 2016, I had the pleasure and honor of hosting a day of cocktails x cocktail rings with Ammanii Jewelry. This private viewing of the line’s Spring Summer 2016 collection gathered professionals in entertainment, fashion and beauty. 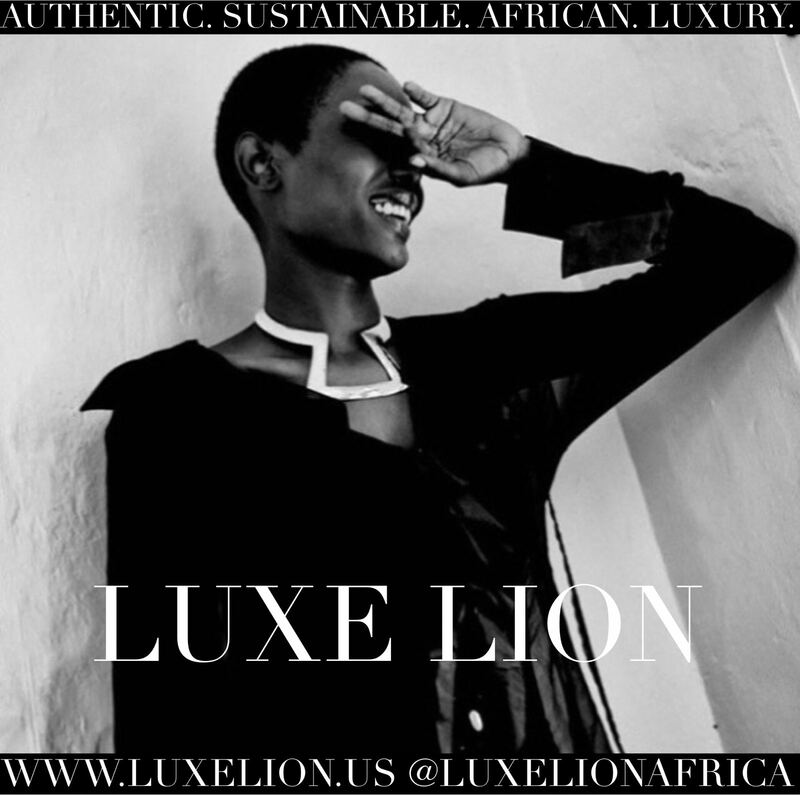 Entitled The Kenzi Collection, meaning “my treasure”, the collection invites women to celebrate the treasure within each and every one of us. 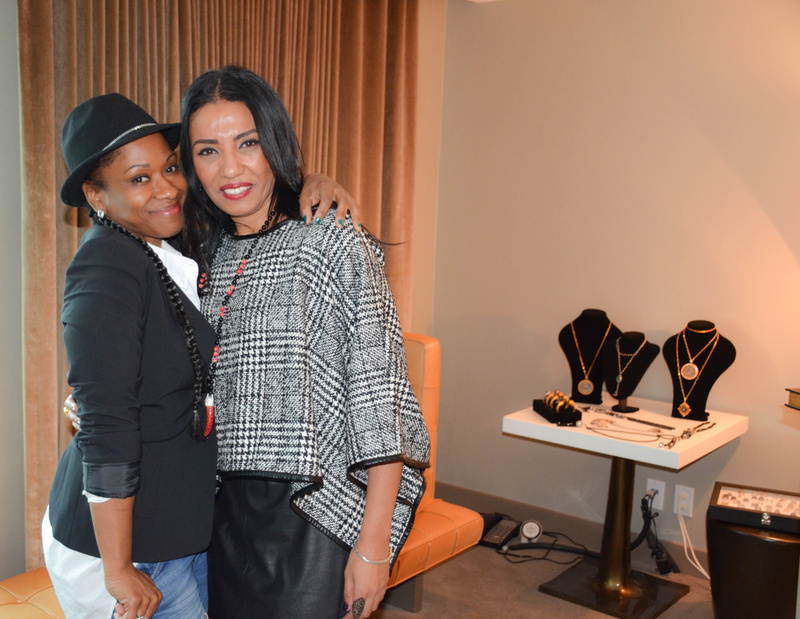 The exclusive event took place at SLS Hotel Beverly Hills in Beverly Hills, California and enjoyed guests such as fashion stylist Amia Serrano, entrepreneur, actress and humanitarian Préity Üupala and celebrity stylist and fashion designer Okera Banks whose extensive client roster includes Mary J Blige, Wanda Sykes and Cee-Lo Green. 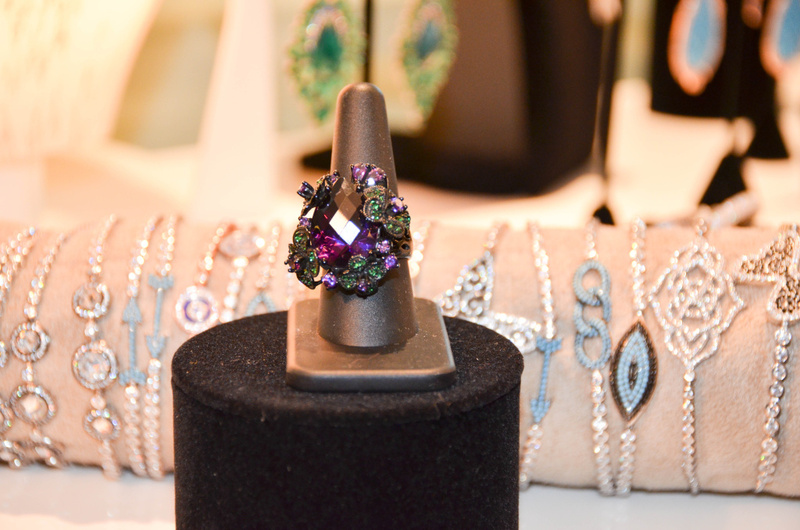 Amany Shaker of Ammanii Jewelry. Photo by Lisa Donahue. 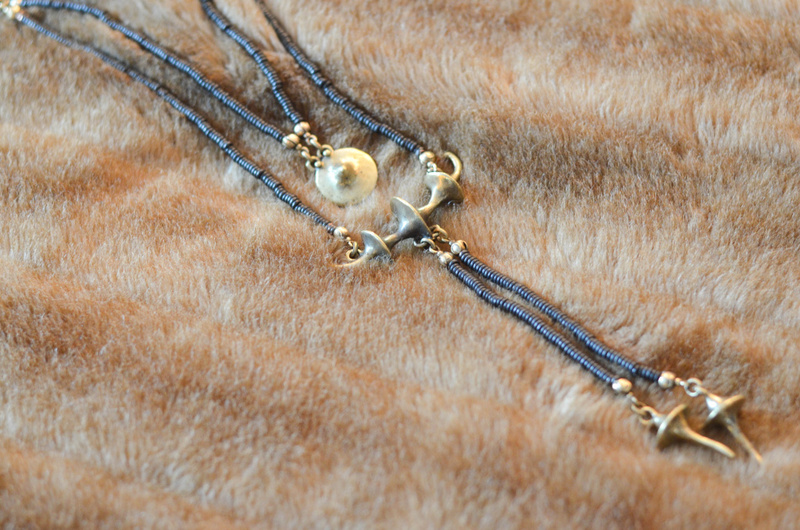 Lightweight bronze necklaces from Ammanii Jewelry SS16. Photo by Lisa Donahue. The event introduced its guests to the cultural influences of Ammanii and the brand’s core motivations. Ammanii is about much more than unique handmade Middle Eastern jewelry. 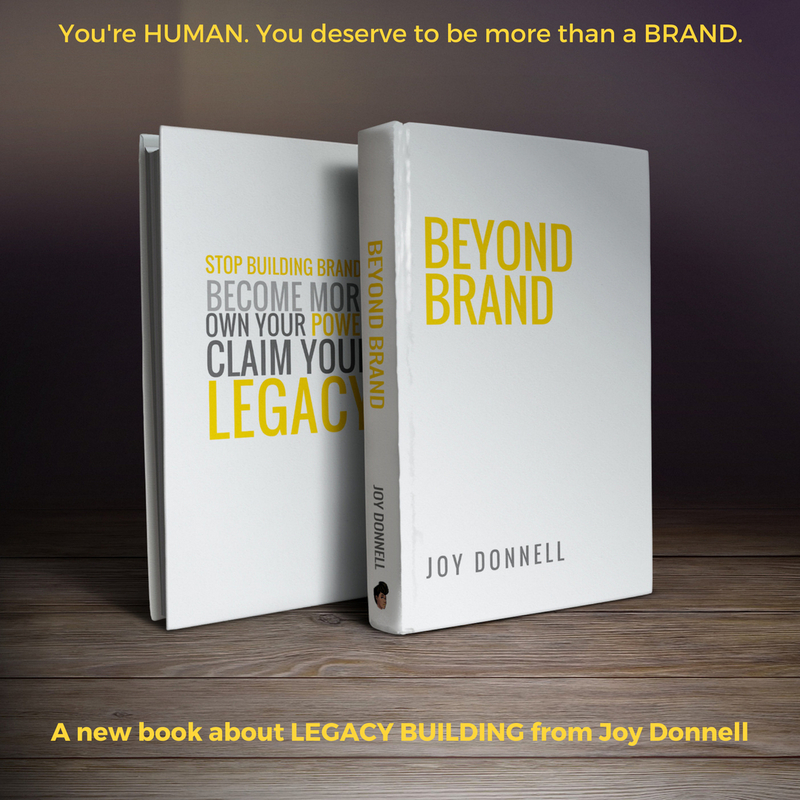 It is a metaphor for each woman’s power to make a difference on a global scale. Drawing from her professional and personal experience in peace-building and conflict resolution for women, CEO and co-founder Amany Shaker has launched the Ammanii brand with the goal of each purchase helping women understand cultures that are not their own. This gives Ammanii’s world jewelry a unique purpose: To create a shared community that transcends all cultural barriers, and emphasizes the shared humanity of all women. Hypnotized by AMMANII, TV host Kristyn Burtt sees something she likes. Photo by Lisa Donahue. 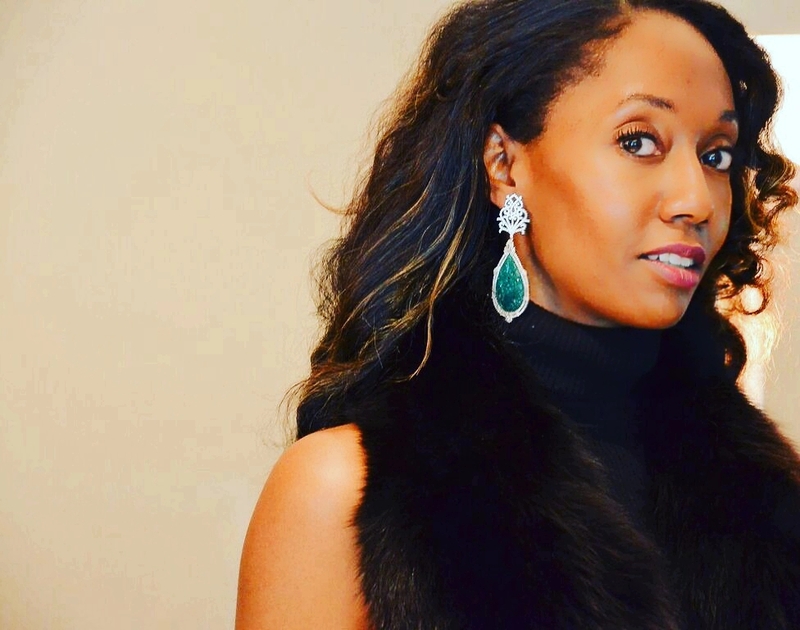 Joy Donnell in Ammanii earrings. Photo by Lisa Donahue. As Editor-in-Chief of Vanichi Magazine, I love to find exciting brands that are driven by deep motivations. Ammanii fits this category with Amany’s goal to connect cultures through fashion as well as its humanitarian efforts toward education. Ammanii is also collaborating with Tawasol, an NGO that was established in 2008 in Istabar Antar, one of the poorest and most forgotten areas in Cairo, Egypt. Tawasol focuses on providing a second chance at education to children who dropped out of the mainstream public school system. The NGO bought and renovated a very small building in the area and turned it into a community school. It started with 20 students, and today they work with around 140 boys and girls between the ages of 8-15. The school provides a state approved curriculum, vocational training, two meals a day, uniforms and other clothes, trips, soft skill training, extra-curricular activities, and hygiene awareness. The school also has computer classes, art classes, choir, library and theatre. Moreover, the students get a weekly allowance, which contributes to the scarce resources available to sustain their families’ basic needs. Okera Banks with Amany Shaker. Photo by Lisa Donahue. 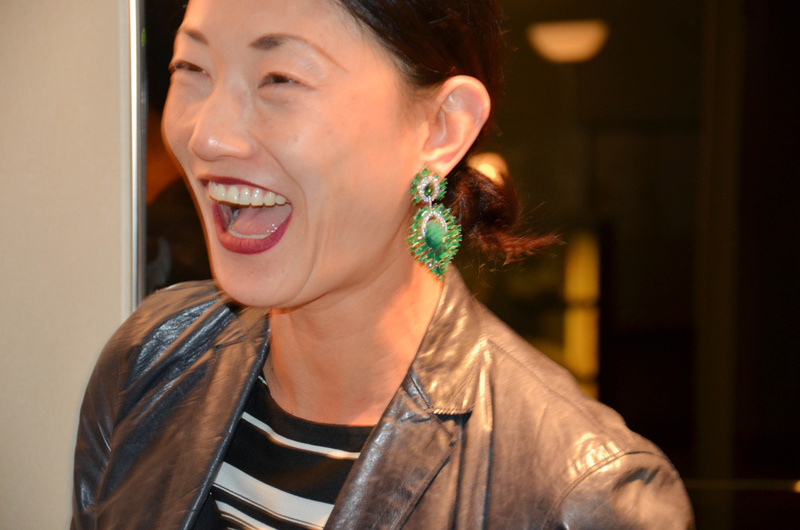 TV producer Seon Park looking gorgeous in a pair of emerald green Ammanii earrings. Photo by Lisa Donahue. 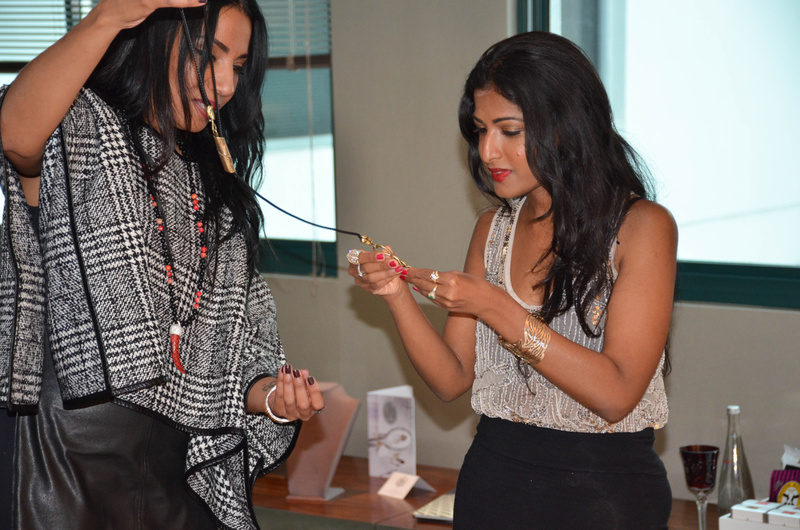 Amany Shaker showing Preity Uupala bronze pieces from Ammanii SS16. The school promotes community participation through providing basic life skills training and craft classes to the women of Istabel Antar. These classes provide them with the necessary tools to learn how to produce marketable products that will contribute to the income of their families. Ammanii encourages the honorable work of these women by investing in their products. These items will be gifted to Ammanii’s clients as a message of empowerment and hope of contributing to a better tomorrow. Last but certainly not least, I have to thank Lisa Donahue of Lisa Donahue Photography. She documented the day with grace and style and made sure that everyone felt as beautiful as the sparkly jewelry Ammanii presented. Find out more about Lisa through her Instagram here.